It seems like I was just in San Francisco at VMworld 2014 (I was!) but we are already into what feels like fall in Dallas and the DFW VMUG User Conference has arrived. This years conference was held at the Irving Convention Center and was well attended, over 500 attendees came out for the event. I am proud to be a part of this great VMUG community and had support from Houston and Austin VMUG members as well. 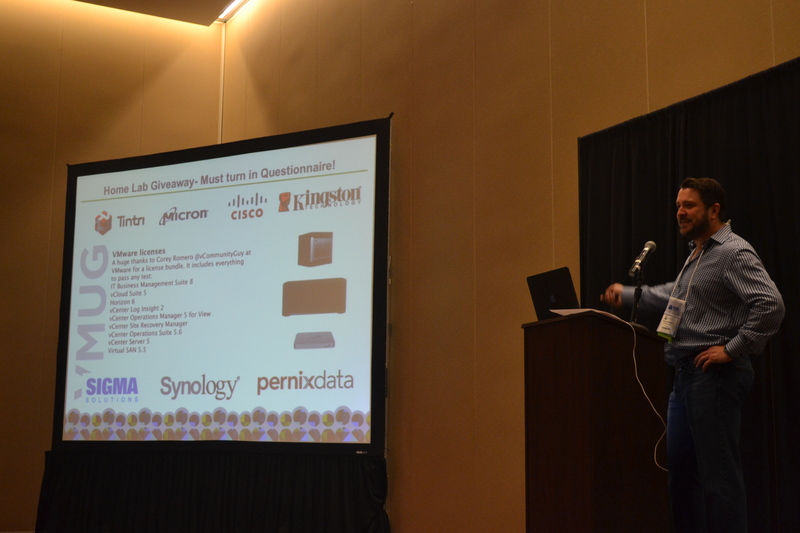 Our local VMUG President, Brad Christian @vHipster, kicked things off with an introduction and moved right into a VMword update from one of VMware’s local reps. We also gave away a VMware lab! 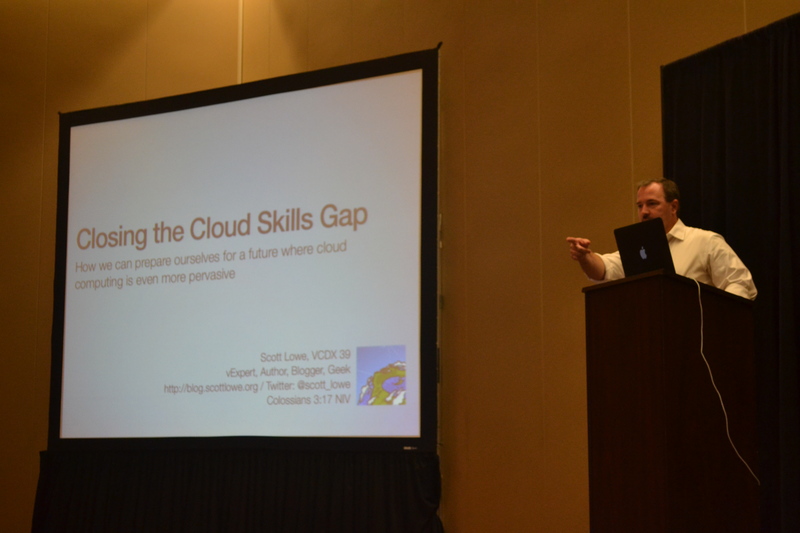 Scott Lowe @scott_lowe, who is well known in the VMware blogging community, also VCDX #38, delivered an excellent keynote to start the day off discussing what it will take to evolve your skill set in the next generation of IT, automation and aligning IT with your business. I was only able to attend a few sessions, but one of the sessions that I got added to the day was a deep dive of the vSphere Hardening Guide guru Mike Foley @mikefoley. 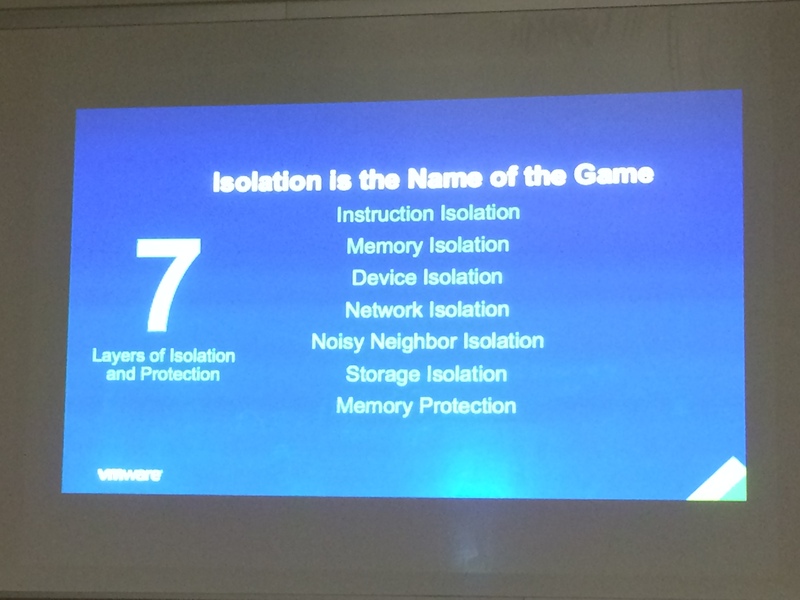 He discussed the actual chances of VM escape vs. physical and logical security steps that most overlook. During lunch, Damian Karlson @sixfootdad, Cody Bunch @cody_bunch and Tommy Trugden @vTexan gave a vBrownbag branded presentation on the VMware community and how you can be a part of the great community that they have helped bolster. Of course they gave out vBacon shirts….because everything is better with Bacon! 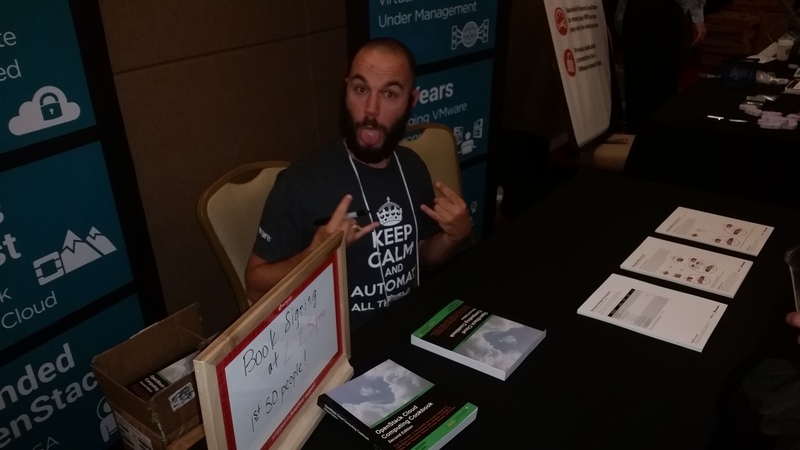 Cody Bunch was at the Rackspace booth doing a book signing for his Open Stack Cookbook! The remainder of the day was spent catching up with my fellow VMUG’ers and meeting new people. It’s amazing how many people had their first VMUG experience at this conference. Some lucky person got that awesome Lab Giveaway, very jealous…. Like last year, we will have the full list of all the presentations and slide decks on the VMUG Workspace site. 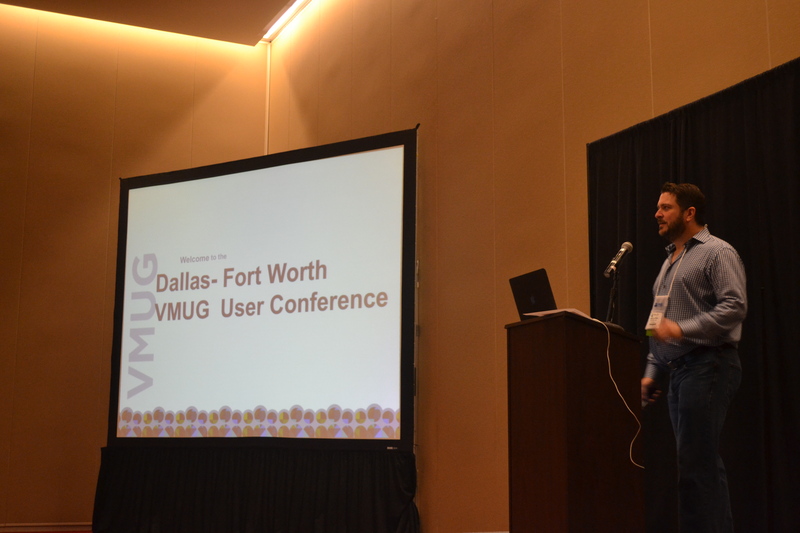 ← Previous Post DFW VMUG User Conference is almost here! 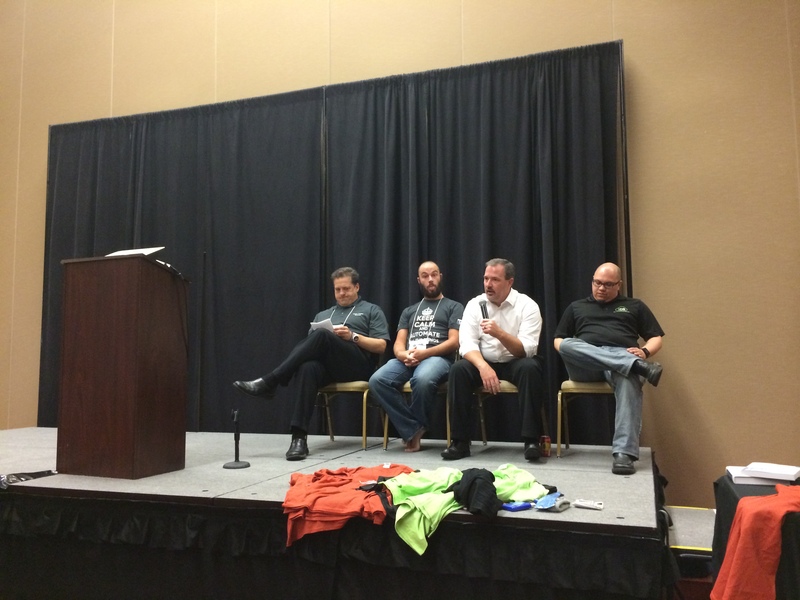 Next Post → vExpert 2015 Applications are open!